Fashion and beauty go hand in hand, looking good gets you noticed. It has been well known for years that the best fashion cost, but not anymore. Replica sunglasses are leading the way in creating fashion at an affordable price. Our inspired by wholesale Dragon sunglasses give you the beauty and elegance you desire at a price you can afford. Dragon sunglasses lead the way in fashion and help you stand out from the crowd. Recently the popularity of replica sunglasses has begun to rise, many budget conscious fashionistas are seeing the benefit of saving money, instead of buying Dragon sunglasses retail our inspired by wholesale Dragon sunglasses are an affordable and trendy alternative. You can save hundreds of dollars per pair. No longer pay over $200 dollars for a single pair of sunglasses, from as little as $22 you can have a dozen replica sunglasses inspired by the real thing. Only your credit card will be able to tell the difference. Take control of your fashion today and invest in a beautiful pair of these sunglasses. With a huge variety of choices you can final afford a different pair of sunglasses for every day of the week. No longer will you be limited to one pair, change your look every day and become the envy of your friends and colleagues. The best part is all orders over $200 come with free shipping as our thank you gift to you. Take advantage of these savings and chose as many pairs of our inspired by wholesale dragon sunglasses as you like. Remember at these prices you can afford to spoil yourself. There is a pair of these for your every mood. With a huge range of colors and styles you can find the perfect pair for every occasion. Take advantage of our savings and start creating your own collection of sun glasses today. If you wish to increase your savings then consider buying these in bulk. 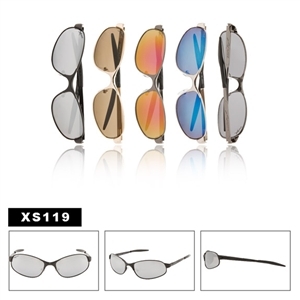 Our commercial prices are a great opportunity for you to introduce you customers to the wonders of replica sunglasses. The more you buy the more you save. Share these with others and enjoy the benefits, why not check out or other styles and offer your customers quality and style that they will not be able to turn down. Check out the entire line and you be amazed. 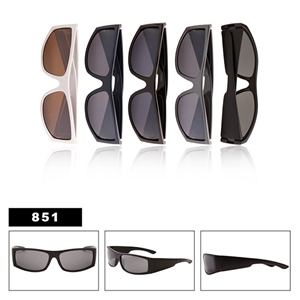 These sun glasses are made from quality materials and offer you wonderful protection from the sun. Check out the entire range of our inspired by wholesale Dragon sunglasses and find the pair, or pairs, that are right for you. Remember all orders over $200 come with free shipping and there is no need to wait, order online for quick home delivery at the touch of a button; Just select the styles and colors you like, add them to your shopping basket and hit the check out. Simple! So if you are looking for an inexpensive alternative to Dragon sunglasses do not look past our range of replica sunglasses, offering quality and style at a discount price. Keep in mind these are not fakes with companies names or logos on them just inspired by models. After you have browsed around here for a while be sure to look at the inspired by wholesale Ed Hardy Sunglasses, these are some very nice looking styles priced right!